The city of Madison occupies an isthmus. To the north is Lake Mendota and to the south is Lake Monona. After bitter cold and long winters, which freeze the lakes completely over, the waters warm up nicely for boaters to enjoy. 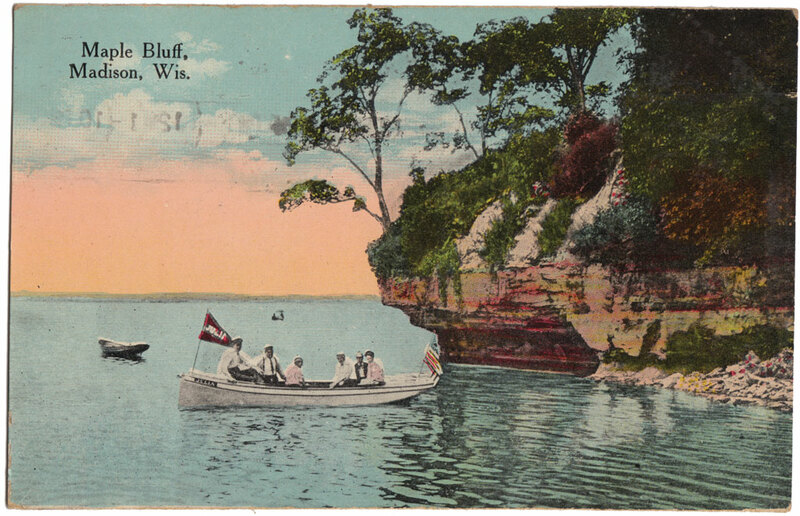 The sightseers in this postcard are looking on to Maple Bluff, known as the richest part of the Madison Metro and one of the wealthiest in the state of Wisconsin. Maple Bluff is most well known as the site of Wisconsin Governor’s Mansion. The Executive Mansion is the residence of the Governor of Wisconsin, and his family. The Robert M. LaFollette House is also in Maple Bluff. 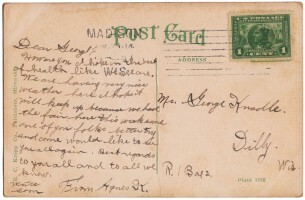 MADISON, JUN 12, 1-10 PM, 1913 WIS.
Lake Mendota Minnows, Madison, Wis. Note the man’s foot on the right, the boat in the background and the dog in the foreground for actual size reference. 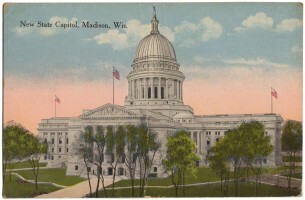 New State Capital, Madison, Wis.
Construction of the present capitol building, the third in Madison, began during late 1906 and was completed during 1917 at a cost of $7.25 million. The architect was George B. Post & Sons from New York. Because of financial limitations and the need for immediate office space to house state government employees, the construction of the new building was extended over several years and emphasized building one wing at a time. It’s located in the middle of the isthmus. To learn more click here. 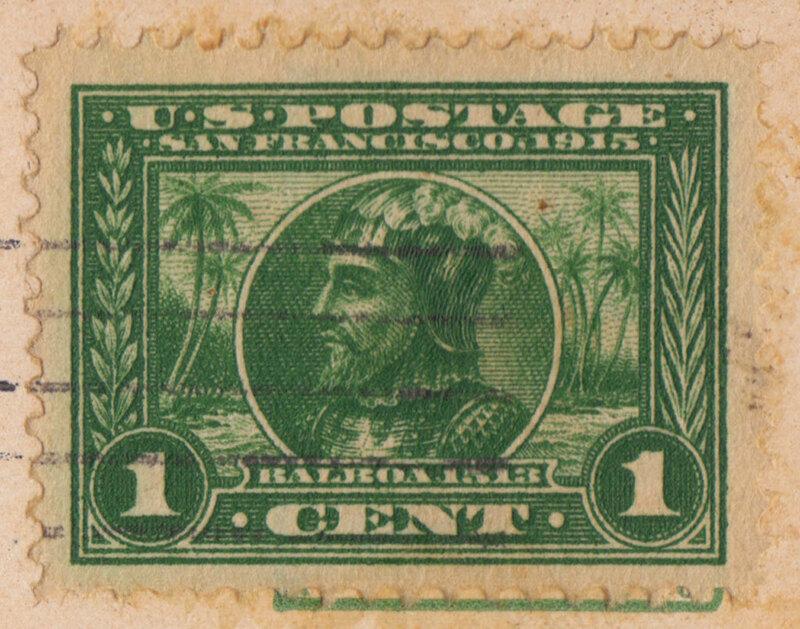 The Panama Pacific commemorative stamps were issued to promote the Panama Pacific Exposition and World’s Fair in San Francisco from February 20 to December 4, 1915. To learn more click here. 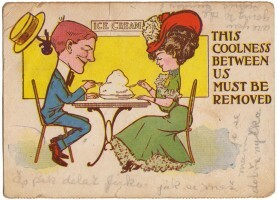 Beyond the cute artwork of this postcard there area couple notable features. 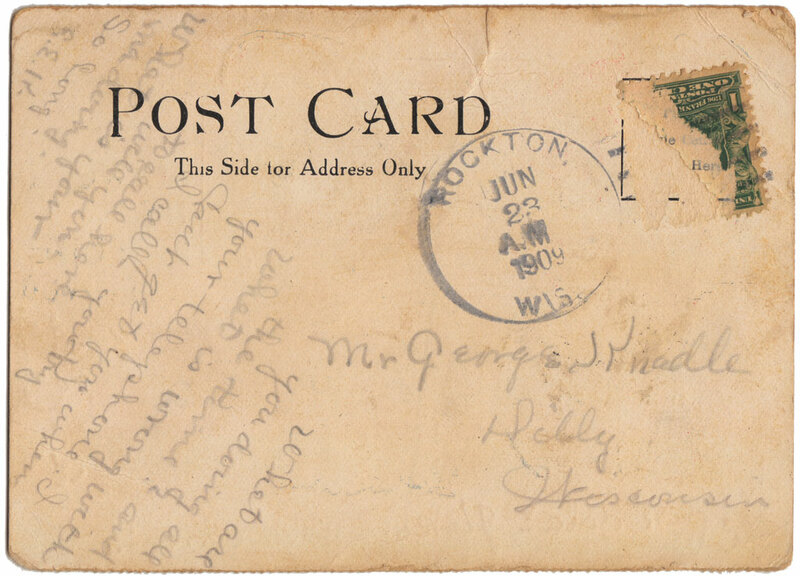 The postcard’s backside is undivided. 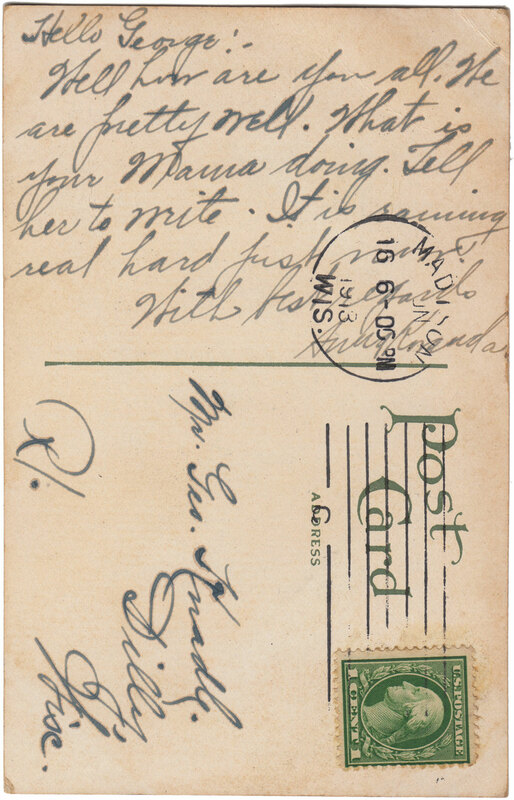 Early US postcards were not allowed to have a divided back and correspondents could only write on the front of the postcard. 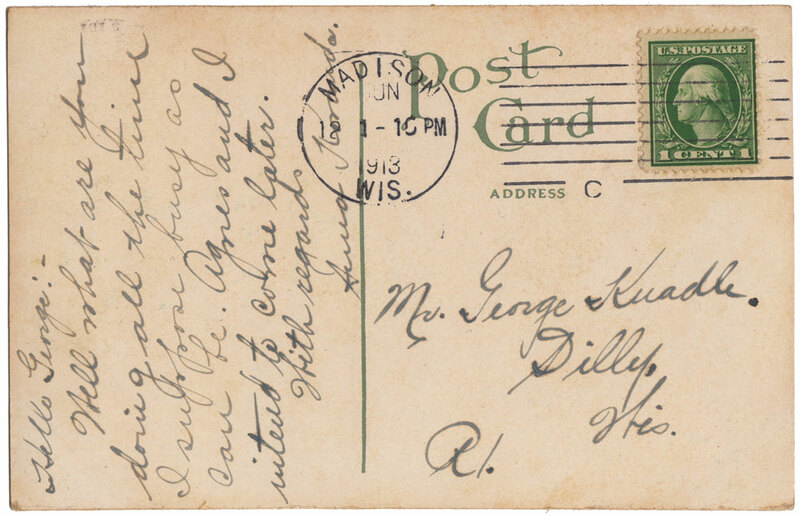 This was known as the “undivided back” era of postcards. 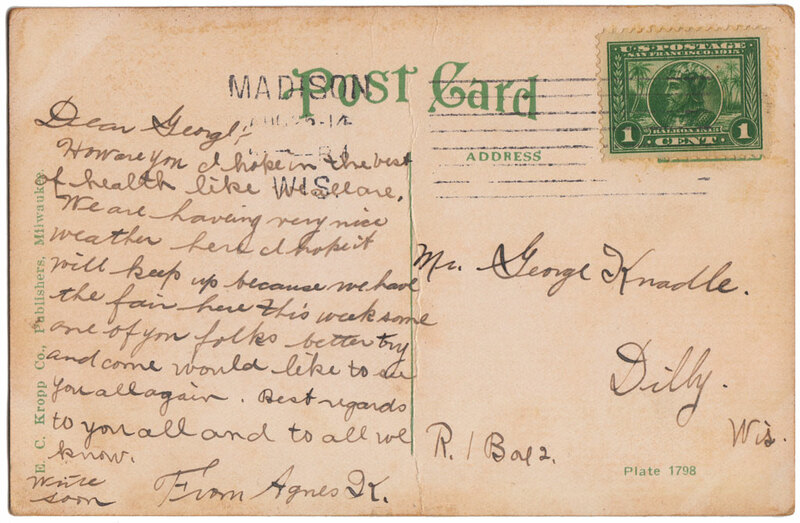 On March 1, 1907 the Post Office allowed private citizens to write on the address side of a postcard. It was on this date that postcards were allowed to be printed with a “divided back”. 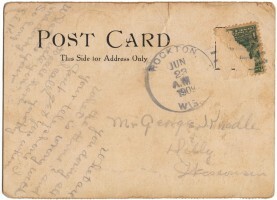 This postcard does not have the divider line and it’s also typeset with This Side for Address Only on the back. To learn more click here. Secondly, there’s a remnant of an ornate US Franklin 1¢ stamp printed between 1902 and 1908. To learn more about the stamps of this period click here.